Natural healing cosmetics properties composition store to buy traditional medicine. Means for care of face skin body hair at home. Available in stock. Best prices. Fast shipping. Natural can be called if it is composed of ingredients (as a whole), natural origin. For its production does not use any complex reactions and physical technologies to preserve the natural nutritional value of the ingredients. It is believed that natural ingredients are most useful for the human body and the skin (do not exert any negative influence). Often, manufacturers of "Normal Cosmetics", try to point out their product, "natural", "organic", etc. This is all done to increase the interest of the buyer and does not guarantee the natural composition of the product. Check whether the product is natural or not, we can only study the composition of a cosmetic product. Truly natural product should not contain, for example, no artificial preservatives (parebeny, formaldehyde, etc.). Save all the properties of natural cosmetics based on the use of essential oils, Vitamina E or alcohol. 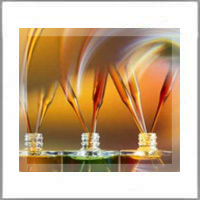 In a conventional cosmetics used polyethylene glycol (PEG) or derivatives thereof, which allow the conversion of oil and water emulsion. But natural emulsifiers of the milk obtained (lecithin), cocoa, soya. The natural cosmetics as a base oil, used only vegetable oils and animal fats, oils and waxes (lanolin, almond oil, beeswax). These ingredients are related to our skin and easily assimilated (absorbed) by it. But petroleum products, waxes and so on. Do not need to be used for the production of natural cosmetics. The difference between the "natural cosmetics" and "natural organic cosmetics". Natural composition of cosmetics, by itself, will not yavlyaetsya full guarantee of quality and product safety. In order to reduce the cost of production, the manufacturer of the raw materials from unknown sources. In this case there is a risk that in order to vyrasit such vegetable raw materials could be used pesticides, herbicides and so forth. Matter. Their remains can nakapitsya in raw materials and get to the finished product. All this may have a negative effect on the human body. Often, the ingredients, like natural, are the cause of serious diseases. The Scientists believe that hydrocarbon compounds contained in cosmetics, provoke the development of cancer. That's why it was introduced such a thing as "organic" cosmetics. "Organic" - means that the production of the raw materials was carried out in a natural way, without the use of any synthetic additives (fertilizers, pesticides, growth promoters and the like). Organic farming - a highly expensive. This explains the price (high) organic products and raw materials. 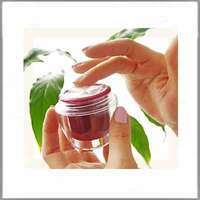 Today, the world has not been developed so far, the single classification of natural and organic cosmetics natural. Ordinary consumers are very difficult to understand what he is buying a cosmetic product - psevdonaturalnuyu, natural, natural organic cosmetics. The assistant in this case - only certificate! When choosing makeup, special attention should be paid to the color. Natural cosmetic product will never be painted in bright colors, such as: purple, magenta, lavender, blue, etc. because it is - it does not contain dyes. In recent years, more and more place in the cosmetology begins to take the use of traditional medicine and health extracts, recipes of traditional medicine, proven for centuries. In our store you can find a variety of products needed in everyday life: Therapeutic and prophylactic cosmetics; Means for skin care; Cream for children buy; Essential Oils buy.